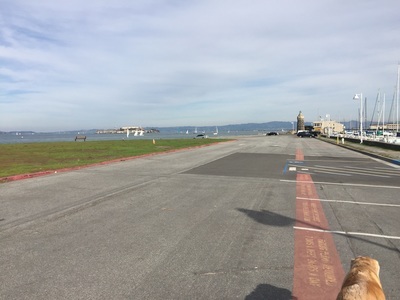 Parking: Free parking in the surrounding neighborhood at the address above (most is 2-hour), or you can park in the Crissy Field lot. Best time to visit: Anytime except very hot days. There is usually a bay breeze but only intermittent shade. 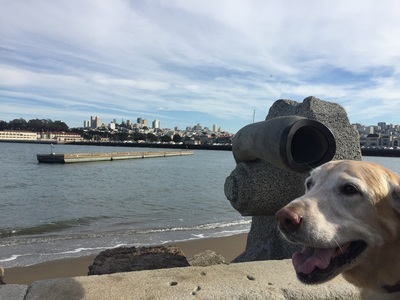 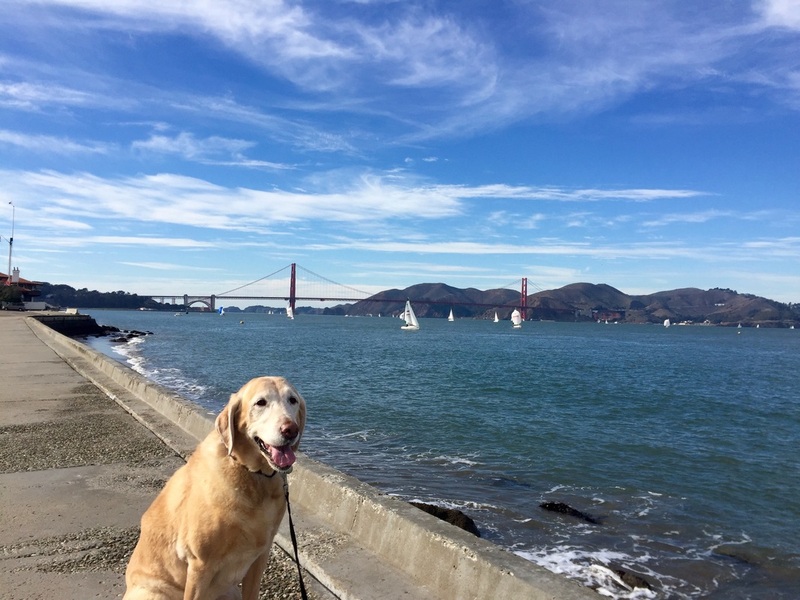 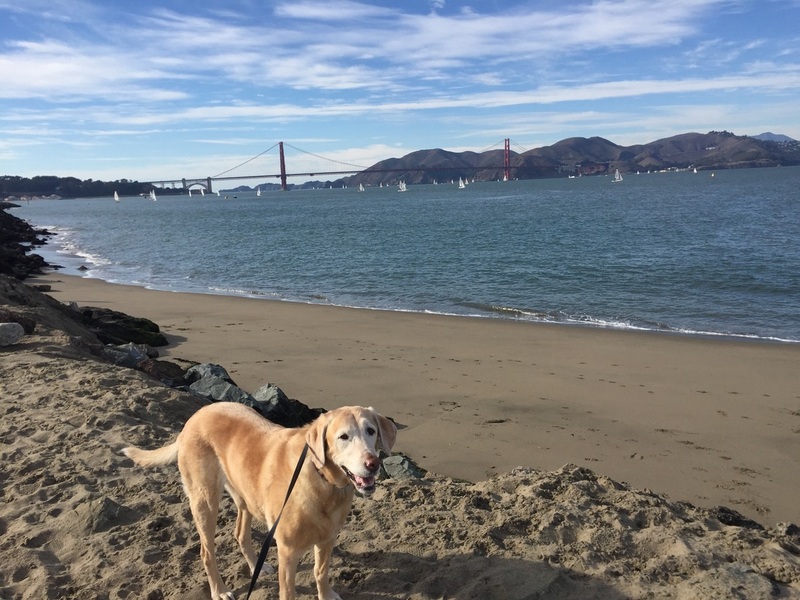 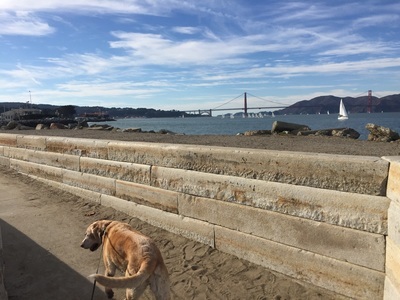 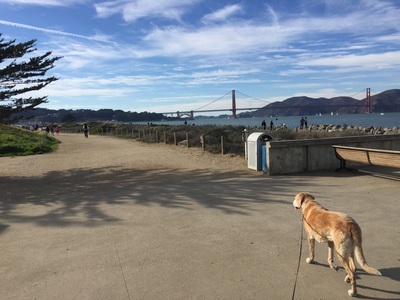 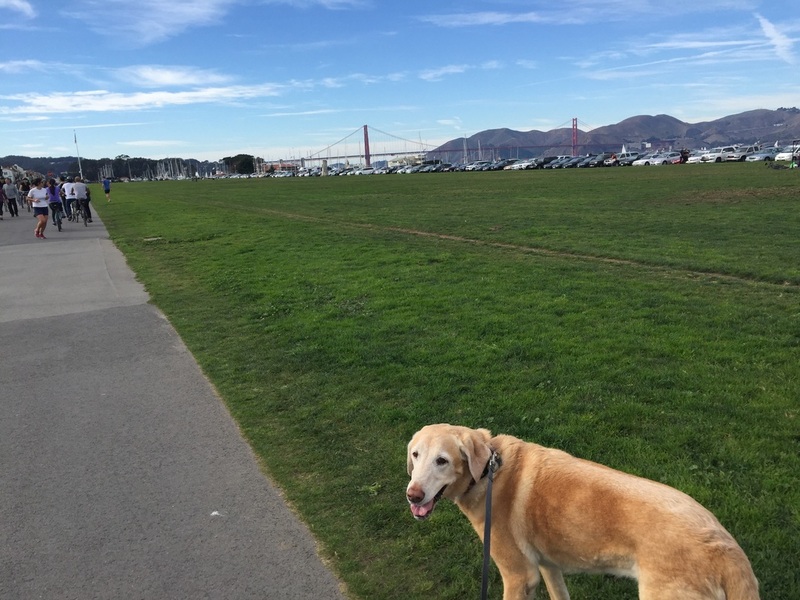 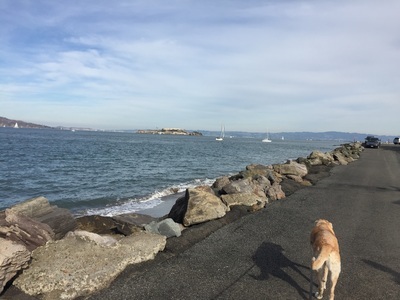 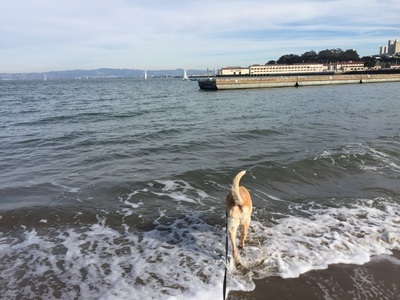 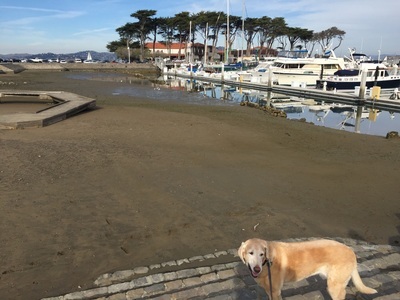 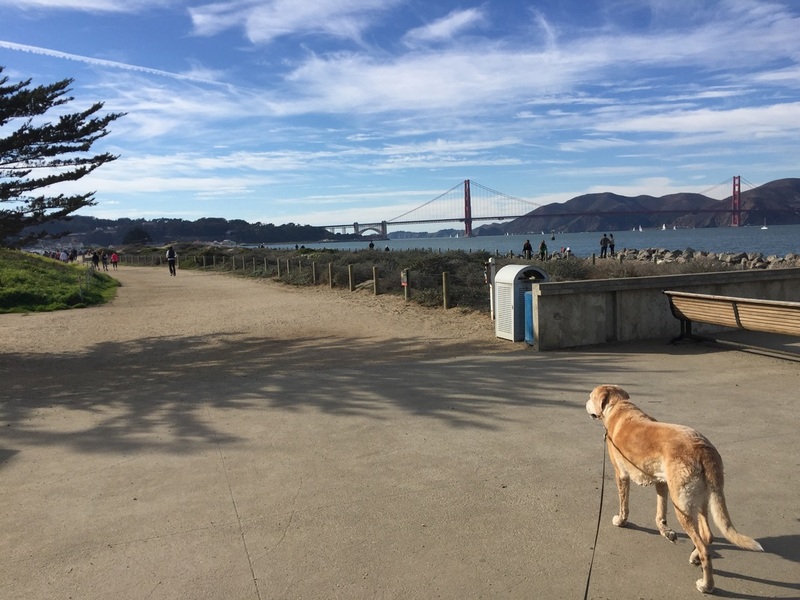 Description: A scenic waterfront path with views of the Golden Gate Bridge, a large grassy area, a fitness circuit and cafes make this the perfect walk. 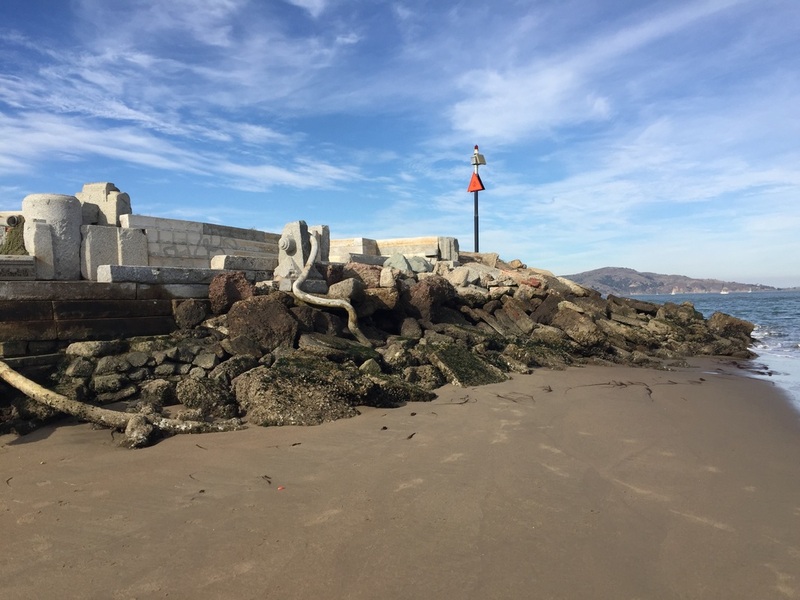 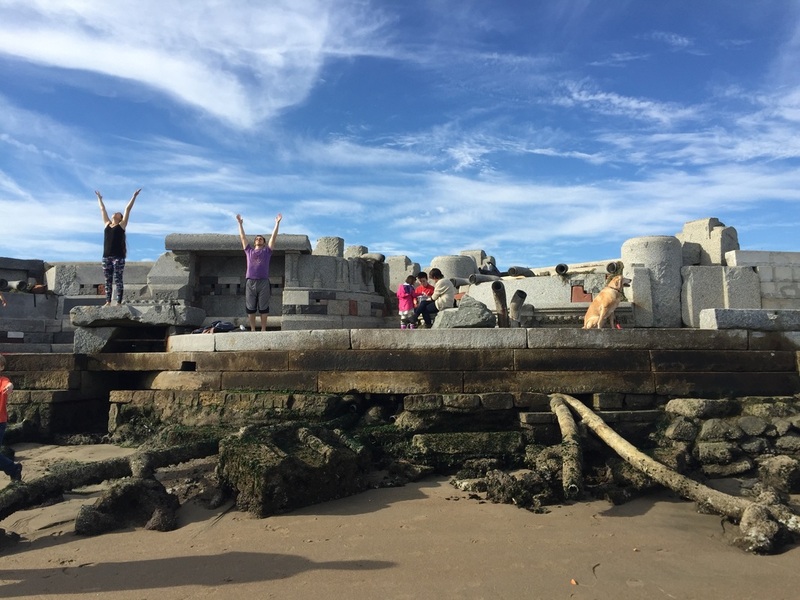 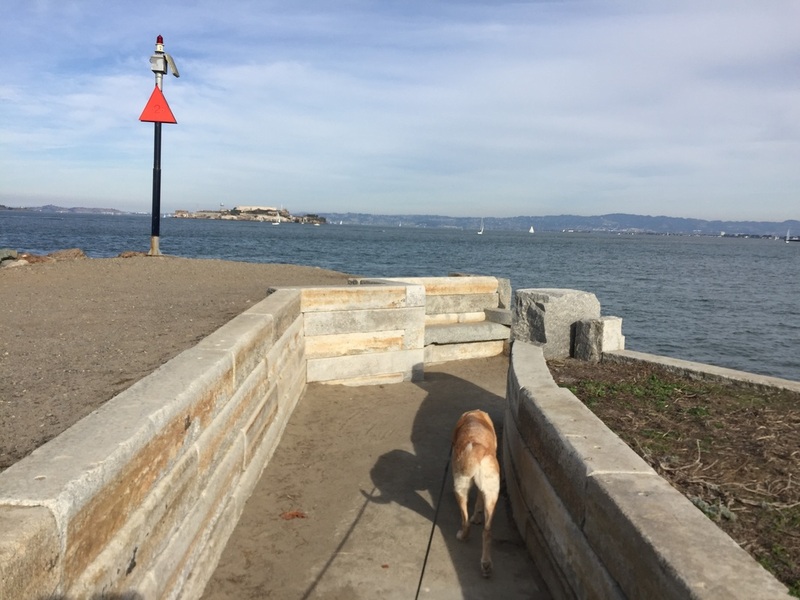 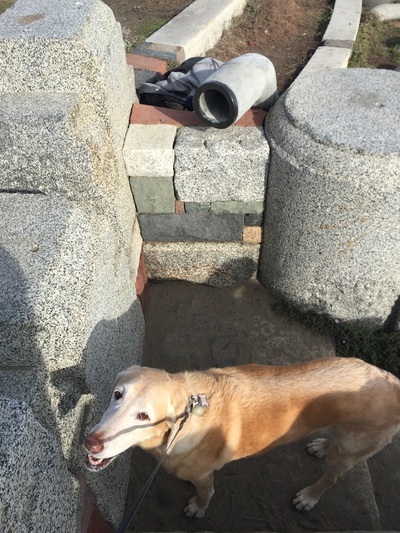 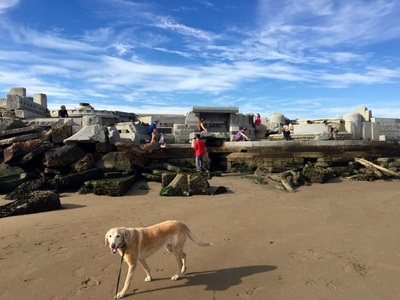 After exploring the grassy waterfront, walk down to the St. Francis Yacht Club to the narrow pathway leading to the Wave Organ for an interesting experience. This structure has pipes running underneath it that interact with the tides, making interesting noises that sound like you're inside of a seashell. In this area you can stop at the Dynamo Donut kiosk for some coffee, donuts, and even doggy donut treats. 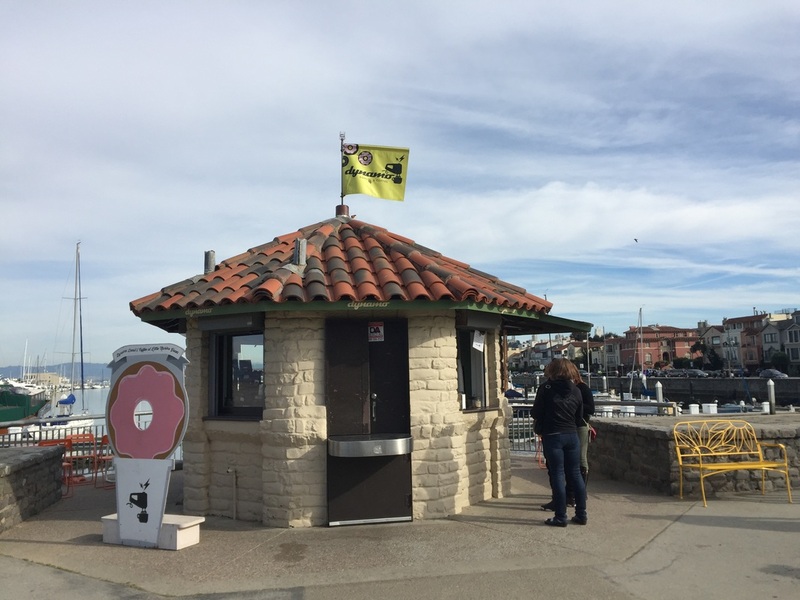 You can also often find the Philz Coffee truck parked nearby. 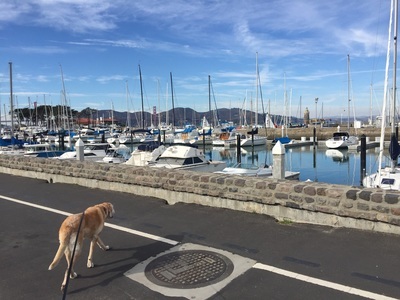 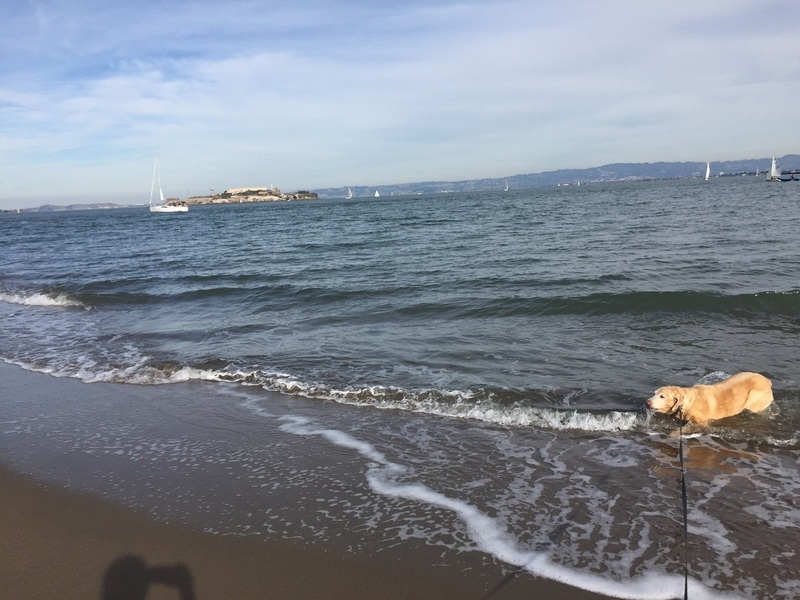 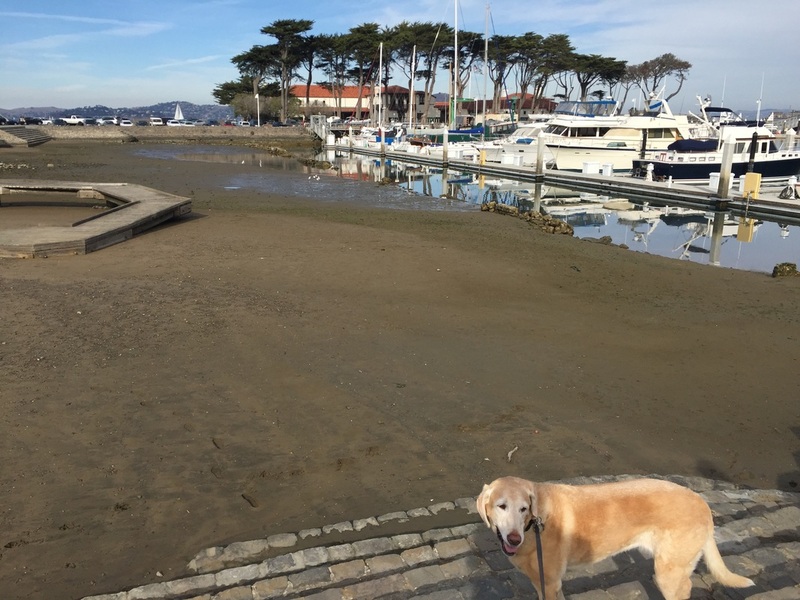 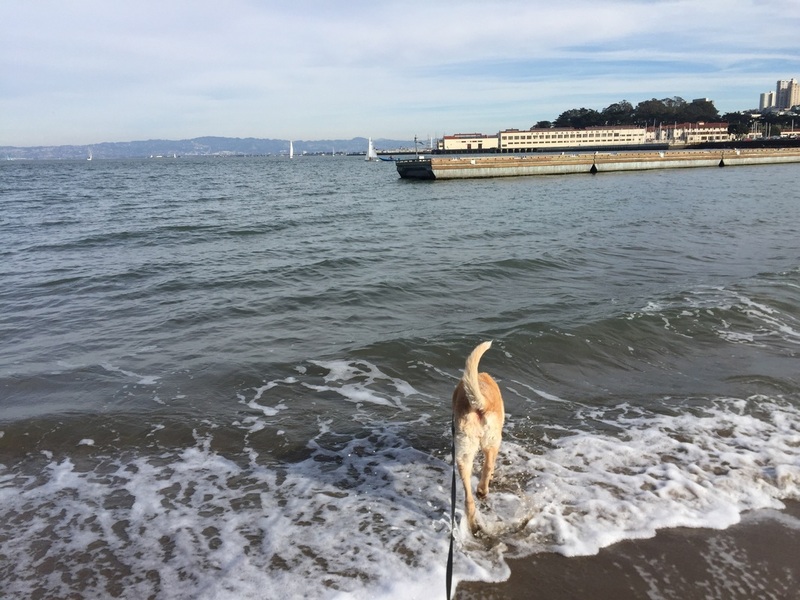 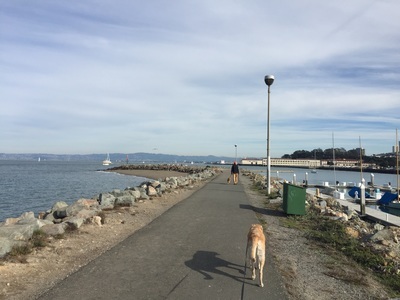 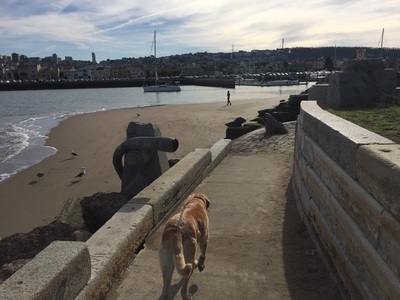 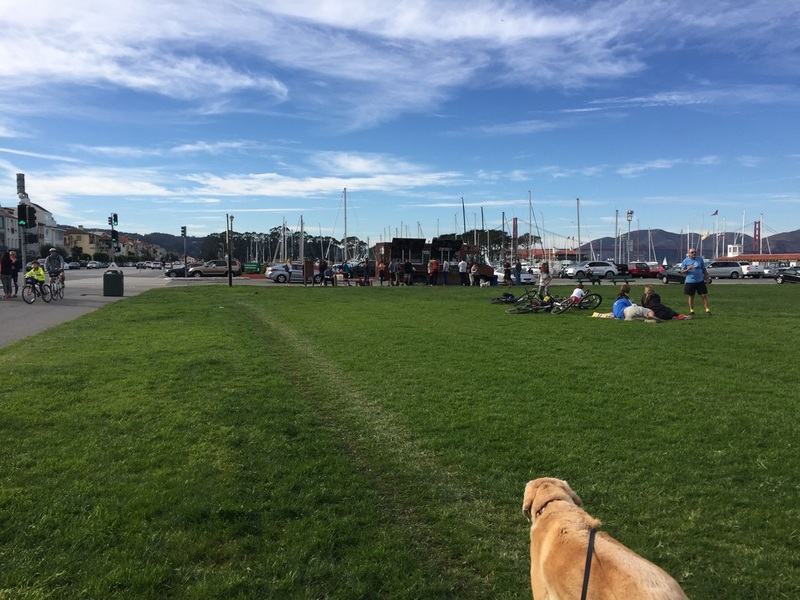 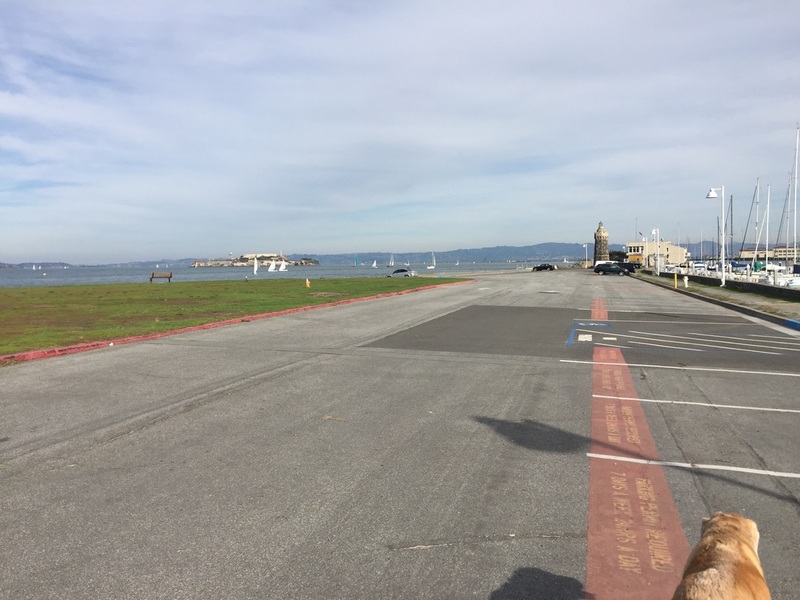 From the Marina, you can extend your walk up to Fort Mason, down to Crissy Field or the Palace of Fine Arts.